It’s Queen’s Birthday public holiday and we are trying to find a cafe that is open for breakfast. 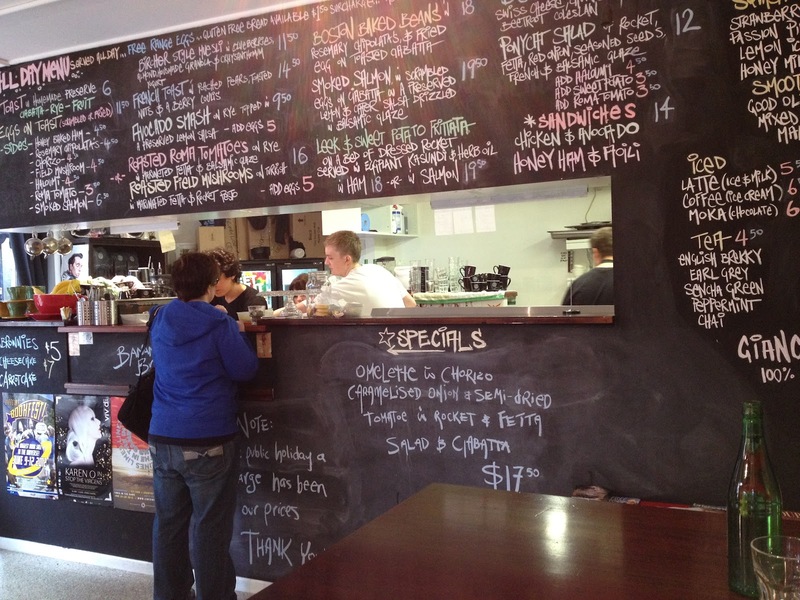 After a few unsuccessful phone calls and ‘We’re closed’ voice messages, we decided to try our luck at New Farm. 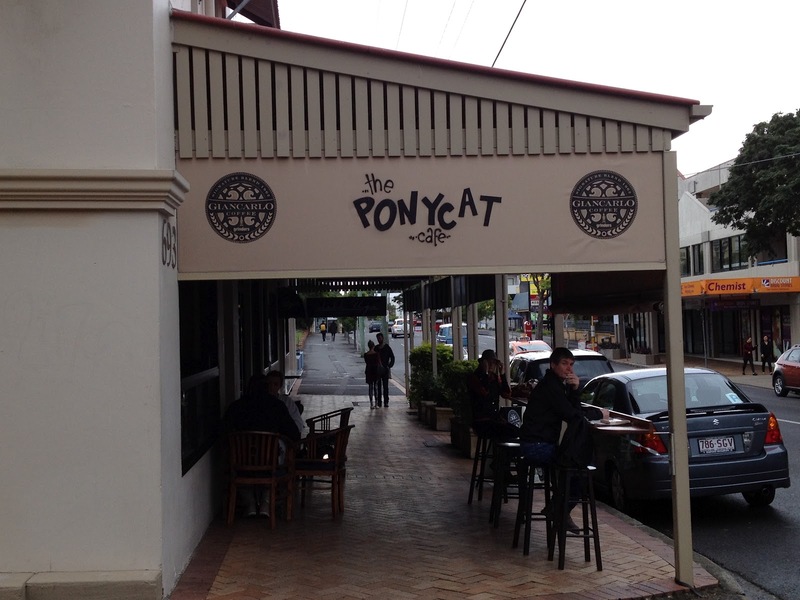 As we drove past many closed shopfronts we began to lose hope – then we saw Ponycat. Having read of it in reviews we had avoided it due to its ‘trademark’ queue out the door. Thankfully, our wait was only a few minutes. 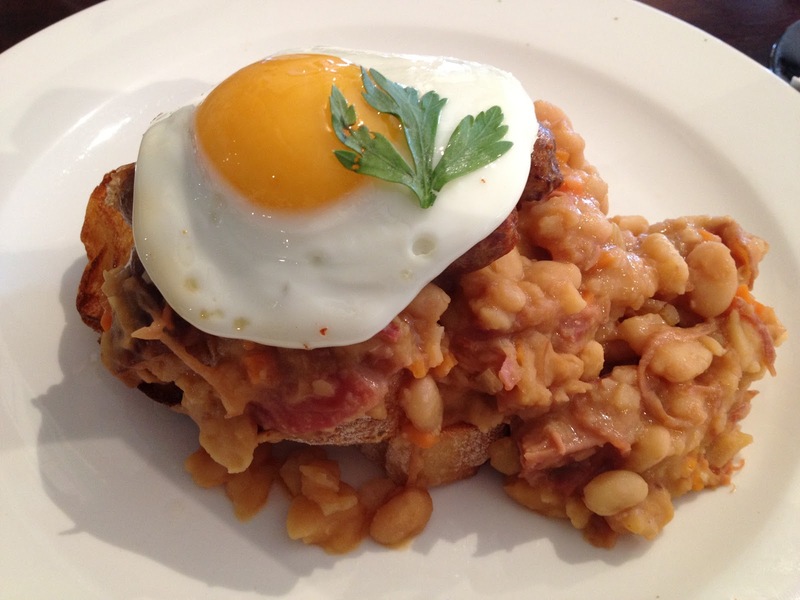 Boston Baked Beans with Rosemary Chipolatas and Fried Egg on Toasted Ciabatta ($18). 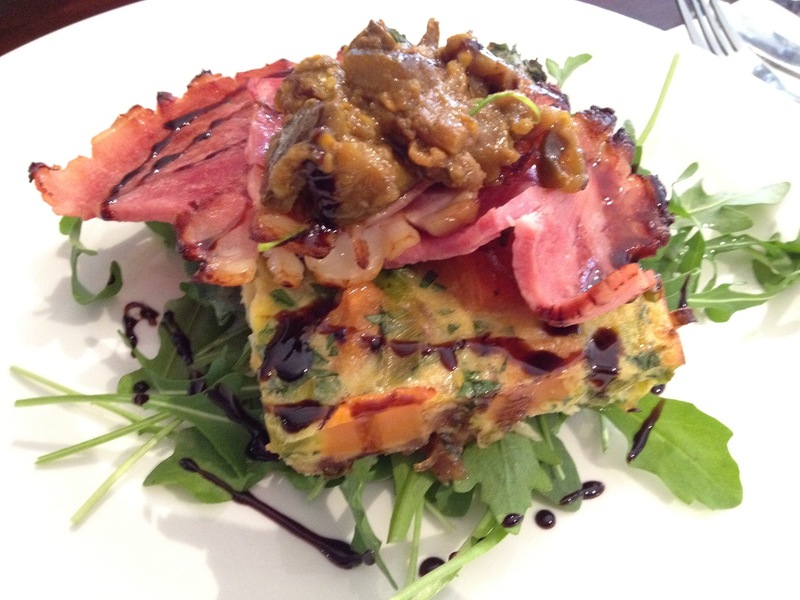 Leek & Sweet Potato Frittata on a Bed of Dressed Rocket served in Eggplant Kasundi & Herb Oil with Ham ($18). The food arrived after about 15 mins. The beans looked a mess but the frittata had a rustic charm about it. Taste-wise neither dish was amazing and we were somewhat disappointed given the online reviews. The elements served with the frittata were not a perfect match for us, with the eggplant Kasundi not really matching the ham /frittata. In fact, I felt the taste of Kasundi overpowered the ham & frittata. As for the beans, I quite enjoyed it, but D found it to be bland (both in texture and taste). The Chipolatas were tasty but again, ‘it wasn’t enough to save the dish’, according to D.
Most tables around us appeared to be ordering scrambled eggs with toast so perhaps that is a safer bet. 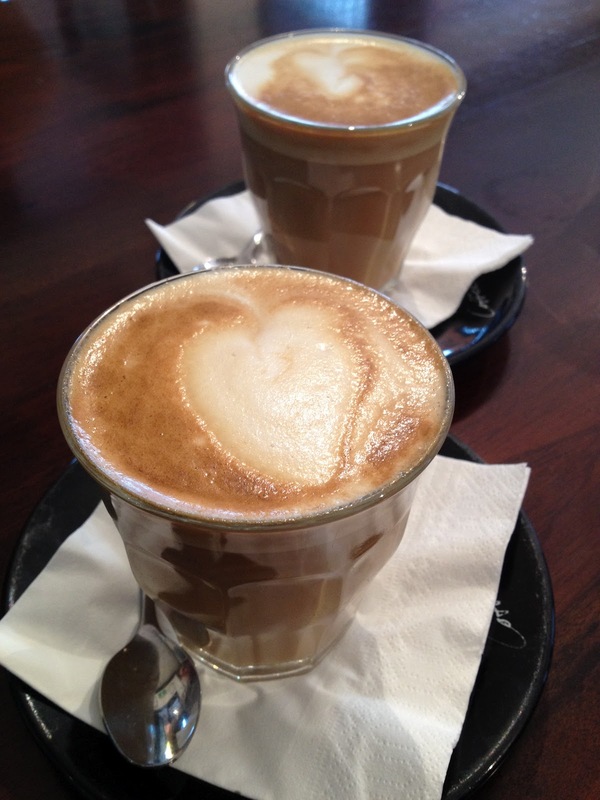 Overall, we were glad to find a cafe open this public holiday. Our stomachs were filled and off we went for the day’s adventure.